Since Cushion’s initial release, you could create “Timelines” to specify the date range you wanted to view. The idea was to provide flexibility for people who preferred seeing a quarter instead of a year, or a different fiscal year than January to December. In doing so, we built a system that was versatile, but at the cost of being unintuitive—especially at the end of the year when you would need to create a new Timeline. 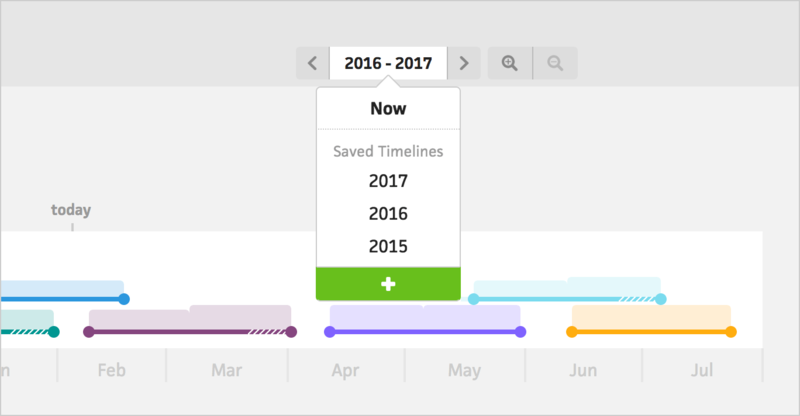 We decided to make Timelines a secondary feature in favor of a more fluid, calendar-like system—with endless scrolling and zooming! Now, you can easily scroll through your schedule without ever reaching the end. You can also zoom between year, half, quarter, and month views, or click a month to zoom directly to that month. We rethought how people would want to view their schedule and decided to center the graph on the current date. This way, you can visualize months in the future as well as months in the past. You’ll no longer hit the edge of your schedule without being able to anticipate what’s next. On wider monitors, the schedule graph now spans the entire screen to make the most of the extra space, and we also highlight weekends, so it’s easier to distinguish them from weekdays, letting you focus on the workweek. Existing Timelines are still viewable from the dropdown menu, but they’re now known as “Saved Timelines”. You can use these to keep a record of past years’ income against your previous financial goals. We’re thrilled with the feel of the new scrolling and zooming—navigating our schedule and income is so much more intuitive now. 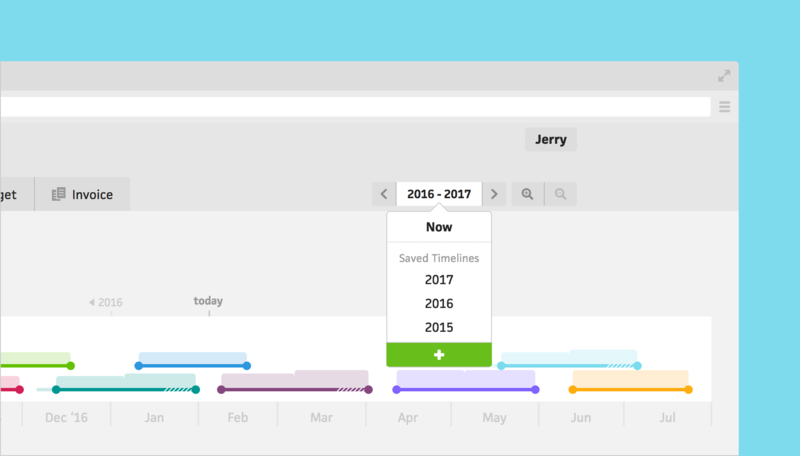 We’re especially excited to launch this improvement because it makes way for our next big feature—time tracking. We have a lot more improvements in the works, but for now, kick the tires and let us know what you think!